In 1963, Coca-Cola unveiled a diet soft drink called TaB. After the FDA banned TaB’s main sweetener, cyclamate, in 1969, Coca-Cola reformulated TaB using sodium saccharin to sweeten it. Experiments performed in the late 1970s and early 1980s convinced scientists that saccharin could potentially cause cancer, so Coca-Cola curbed its production of TaB and replaced it with Diet Coke in 1982. Although the FDA required warning labels on TaB and other saccharin products through 2000, warning labels were removed after investigations revealed potential inaccuracies in the original saccharin experiments. Despite its chemical mysteries, TaB has maintained a devoted following. Coca-Colastill ships about 3 million cases of TaB each year. Scientists have speculated often over the years that artificial sweeteners like cyclamate, saccharin, aspartame and sorbitol could increase cancer risk in humans. However, today’s master’s degree students studying nutrition and wellness (click here to explore top programs) are learning that the real danger of diet soda lies in its association with metabolic syndrome. Within a few years, doctors speculate that metabolic syndrome may overtake smoking as the country’s primary risk factor for cardiovascular disease. Metabolic syndrome is a series of five factors that increase a person’s risk for heart disease, stroke, diabetes and other chronic conditions. According to the National Heart, Lung and Blood Institute (NHLBI), metabolic syndrome doubles a person’s risk for heart disease or stroke and quintuples a person’s risk for diabetes. Individuals that carry extra fat around their abdominal areas are at higher risk for a wide range of cardiovascular diseases. When a person ingests food, the body either uses the food for energy or converts it into triglycerides. The fat cells store triglycerides, and they’re released when the body needs energy between meals. High triglycerides may indicate a diet that is high in fat and simple carbohydrates. High-density lipids, or “good cholesterol,” may prevent cardiovascular episodes. Low HDL correlates with a higher risk for heart disease and stroke. Over time, high blood pressure could lead to arterial plaque buildup and heart damage. High glucose levels when a person is fasting may indicate the development of diabetes. A recent study of postmenopausal women, which was presented at the American College of Cardiology’s 2014 Scientific Sessions, found that women who consumed two or more 12-ounce cans of diet soda per day have a 30-percent higher risk of having a cardiovascular event, such as a heart attack or stroke. The same women have a 50-percent higher risk of dying as a result of the cardiovascular event. According to a review published in late 2013 in the journal Trends in Endocrinology and Metabolism, the association between artificially sweetened beverages and metabolic syndrome isn’t the result of reverse causation. In other words, people don’t develop metabolic syndrome and then start consuming diet soda. Several studies that controlled for body mass index (BMI) still found a link between artificially sweetened beverages and metabolic syndrome. The author, Susan Swithers of Purdue University’s Department of Psychological Sciences and Ingestive Behavior Research Center, suggested that artificial sweeteners blunt the body’s physiological response to eating a sweet food, which could include insulin release or activation of the brain’s pleasure centers.As a result, individuals who drink artificially sweetened beverages might seek more sweet foods to activate the body’s response mechanisms. Does Diet Soda Cause Metabolic Syndrome? Diet soda consumption has been linked with metabolic syndrome; it has not been shown specifically to cause metabolic syndrome. However, consuming diet soda doesn’t reduce cravings for sweet foods, and it doesn’t work as a tool for weight control. 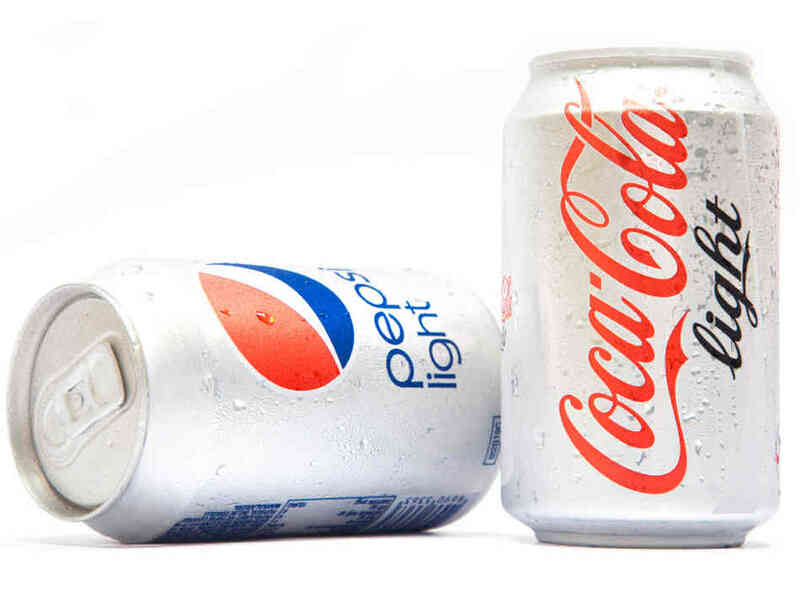 Doctors and nutritionists should encourage their patients either to reduce their diet soda consumption or to eliminate those empty non-calories from their diets altogether.Unfortunately, TaB’s refusal to disappear after 51 years shows just how stubbornly people cling to their favorite diet beverages.